Grapevine’s Legoland Discovery Center is a must for families with little and big builders. This vibrant space has an impressive number of rides and attractions, more than four million Lego pieces forming such amazing creations as a replica of the DFW area in striking detail, and 4D films included with your admission. Located inside the Grapevine Mills Mall, Legoland Discovery Center offers a Lego factory tour, a Build and Test Zone to create your own race cars (and test them for speed), a Kingdom Quest laser ride where you take aim at the bad guys, a princess palace, and Merlin’s Apprentice, where you pedal a two-seater bench suspended in the air and spinning around Merlin. The Lego Studios 4D cinema offers several entertaining short films that engage all your senses (with effects such as an unexpected spray of water and the feeling of wind). Legos steal the show throughout the exhibit spaces, including Miniland, a recreation of the DFW metropolitan area; several spaces for making your own unique builds; and a gift shop perfect for Lego enthusiasts. Legoland Discovery Center is perfect for kids and adults alike who enjoy building with Legos. Save money by purchasing your tickets in advance. There’s an on-site coffee shop that serves drinks, snacks, and sandwiches. A gift shop sells bricks, kits, and other Lego merchandise. Legoland Discovery Center is located at 3000 Grapevine Mills Parkway in the Dallas suburb of Grapevine, Texas, at the Grapevine Mills Mall, across from Sea Life aquarium. From the DFW Airport, head south on International Parkway to State Highway 121, then take the Grapevine Mills exit. There is plenty of free parking available at the mall. A Grapevine Visitors Shuttle runs from the airport, several area hotels, and downtown and includes a stop at the mall. Legoland is open from 10am to 6pm Monday through Friday, 10am to 7pm on Saturday, and 11am to 4pm on Sunday. Expect larger mall crowds on weekends and during holiday seasons, particularly during school breaks. Want to build without having to share your bricks with the kids? The last Monday of each month is Adult Night from 7pm to 9pm. More than 1.5 million bricks went into the creation of the Dallas/Fort Worth metropolitan Miniland, which transitions from day to night while visitors watch the activities going on in miniature. You’ll see DFW Airport, AT&T Stadium (home of the Dallas Cowboys), and the Fort Worth Stockyards, among other replicated sites. Get ready to build to your heart's desire at LEGOLAND® Discovery Center Dallas. An admission ticket includes access to 15 different attractions. 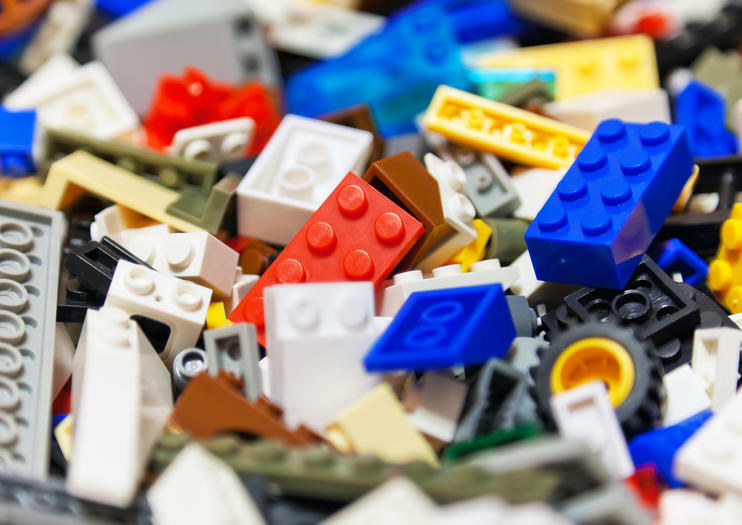 Wander among LEGO recreations of the city's top landmarks, construct LEGO racing cars and give them a go on a speed test track, or embark on a brick-making factory tour. Enjoy an afternoon that's engaging, educational and fun for the entire family.